This lecture provides an overview of the landscape of film activities and activism in Southeast Asia. It will cover various film spaces and contemporary regional networking and knowledge exchange among film practitioners and theorists/academics in Southeast Asia from the late 1990s until the present. Film activism is an acknowledgement of the power of film as a tool for creative and political expression; one intended to move and entertain, and to represent and document culture and society. Forms of activism take shape in media advocacy, film education, film exhibition/screenings, film festivals, archiving, academic scholarship, online discussions, filmmaker training, and expanded notions of cinema. Digital technology, the internet and globalization in Southeast Asia have also paved the way for a cosmopolitan attitude towards the consumption of foreign films and art cinema beyond the usual Hollywood mainstream films. Nevertheless, Dr Gaik Cheng Khoo will argue that issues of state censorship and commercial considerations continue to confront filmmakers after the period of experimentation is over. This is the 2018 Asian Studies Trust Fund public lecture. 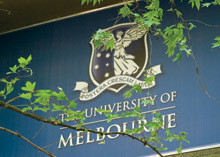 It is supported by the Asian Studies Trust Fund, the Asia Institute and the Asian Civil Society Research Cluster of The University of Melbourne. Dr Gaik Cheng Khoo is Associate Professor in the School of Media, Languages and Cultures at the Faculty of Arts and Social Sciences, the University of Nottingham Malaysia. Her work focuses on cinema and independent filmmaking in Malaysia; cosmopolitan spaces including public eating places like kopitiam and mamak stalls; race, religion and the politics of identity; and multiculturalism. Gaik obtained her BA (English) from The University of Texas (Austin), and her MA (English) and PhD (Interdisciplinary Studies) at The University of British Columbia. 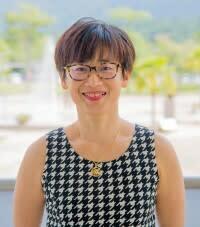 She was a postdoctoral fellow at the Asia Research Institute (ARINUS) in Singapore (20042005), before becoming a lecturer at The Australian National University where she taught gender, cultural studies and Southeast Asian cinema (20052012).